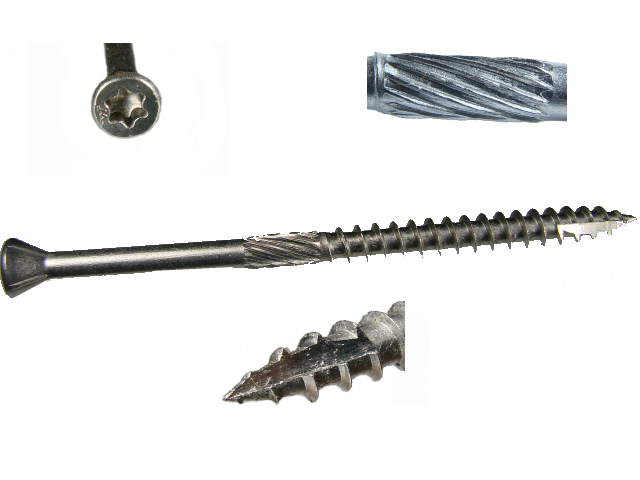 Our silver star trim head screws are the ultimate fastener for corrosion resistance. Their passivated grade 305 stainless steel forms its own protective oxidized coating. The screw heads are designed to drive flush with the surface. They have a type 17 tip which starts cleanly and easily without "walking". The knurled shank makes driving easier on both the user and the tool. These high quality stainless steel screws feature a star drive for maximum torque.